Portland and Eugene are the top contenders. Portland, known as the “City of Roses,” and Eugene, cited as the “World’s Greatest City of the Arts and Outdoors” are two cities in Oregon which have been touted as the best places to retire. 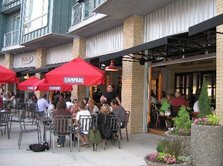 Whether you choose the capitol city of Salem or prefer the quaintness and low-key lifestyle of a small college town that is Eugene, you have a distinct choice in becoming part of either of these most highly ranked cities in a state where culture amenities abound. Considered a cosmopolitan city that is not only friendly but is ranked as having one of the best summer climates anywhere, Portland offers an array of gardens and parks, beautiful landscapes, great shopping and cuisine as well as an assortment of cafes, arts, and entertainment that distinguishes this city as the most ideal place to retire. Living in Portland affords you the opportunity to become immersed in the natural beauty of Mt. Hood, Columbia River Gorge, and the wine country. Moreover, Portland has over 37,000 acres of parkland whose landscape is widely known to encompass more greenery than in any other state. In contrast, Eugene is home to the University of Oregon, and is considered the best college town offering an atmosphere and small town charm with an abundance of cultural attractions as well. Located in Willamette Valley, Eugene offers the best of both worlds. Considered a paradise for those who enjoy outdoor recreational activities, this city is known for its extraordinary environment which offers such amenities as hiking, biking, golfing, and other activities which make up the picturesque canvas that is the McKenzie River Valley, the Cascade Mountains, and the Oregon Coast. Retire to Oregon and you will immediately develop a love for this diverse state. Best State in the U.S.
Retirement living in Portland Oregon means beautiful scenery and an active lifestyle. In addition to this, Portland is one of the most affordable cities to live that offers you a good budget, great weather and a plethora of activities to keep you busy. Portland, known as the “City of Roses,” affords you the opportunity to become immersed in the natural beauty of Mt. Hood, Columbia River Gorge, and the wine country. Moreover, Portland has over 37,000 acres of parkland whose landscape is widely known to encompass more greenery than in any other state. 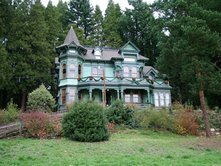 Ashland offers a variety of recreational activities sure to keep you busy. From hiking to skiing,this is one town where you will not only have lots of fun, but if you are aShakespeare enthusiast – this town offers the best in theater provided by the OregonShakespearean Festival. Corvallis is a beautiful college town nestled in the scenic Willamette Valley between the Coastal and Cascade Mountain Ranges. The Oregon coast can be reached within a scenic one-hour drive. A mild climate, recreational opportunities plus a small town atmosphere make Corvallis an ideal place to retire. Touted as one of the best places to live by Money Magazine, Beaverton offers those who wish to move there a sense of community, and the neighborhoods are geared toward a high quality of life encompassing family life and a strong work ethic. A park is located within a half mile of every home and the City features 30 miles of hiking trails and a 25-mile network of bike paths. 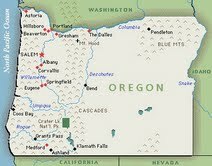 Retire to Salem, Oregon one of the cheapest place to retire. Living in a big city can be a lonely experience. However, choosing a small town which embraces diversity and employs a friendly atmosphere can make all the difference when choosing an ideal place to retire to. Salem, Oregon offers a familial setting where you can live in a vibrant community of fellowship. As the baby boomers soon emerge as the largest group of retirees in the next few years, they will certainly be looking to relocate to a place that offers a lifestyle that is of the highest quality. Tualatin is one of those cities. Considered to be the fastest growing community in Oregon, it offers retirees the best of both worlds. More than 110 acres of parklands and an active tree preservation and planting program have earned Tualatin the nickname "Tree City, U.S.A."